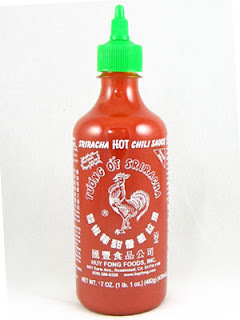 Asian Supermarket World Foods and Imports: Did you SRIRACHA sauce it? We are a World Food Supermarket. This blog is to share with you our thoughts, recipes, and what is going on in the ethnic community. We also feature new products here and our residential foodie blogger, Brian Ly from Toronto! Sign up for our Food Story Action! Did you SRIRACHA sauce it? A condiment and staple for Asian cuisine... can't do without SRIRACHA sauce in my pho and now eveyone is talking about it for the Superbowl and wings! Definitely try it instead of ketchup.... read on! Happy Sunday AND Happy Lunar New Year! Would you attend a cooking class?